Format: 4 ball alliance- Shot Gun Start at 6:30 pm. Entry $160 per 4 ball. Entry fee covers a light supper, a night Golf packand welcome cocktail cash bar. 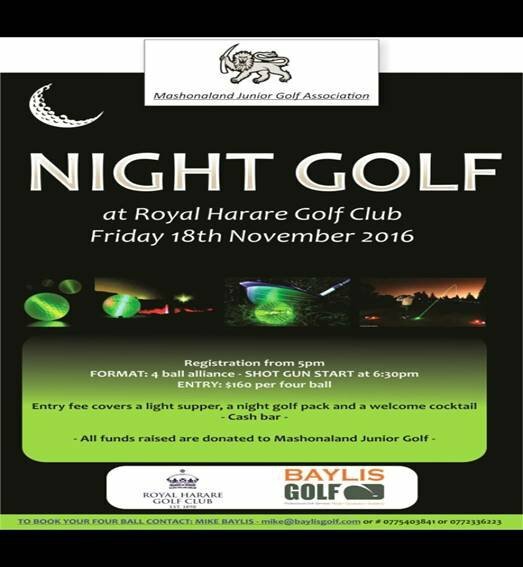 All fund raised are donated to Mashonaland Junior Golf.